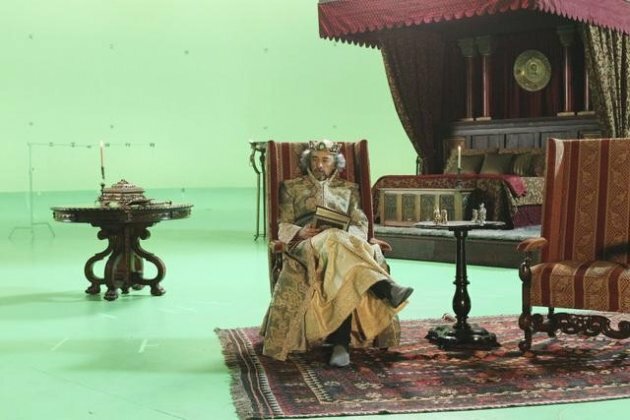 Here is a first look at the royal family in Fairy Tale Land on Once Upon a Time. 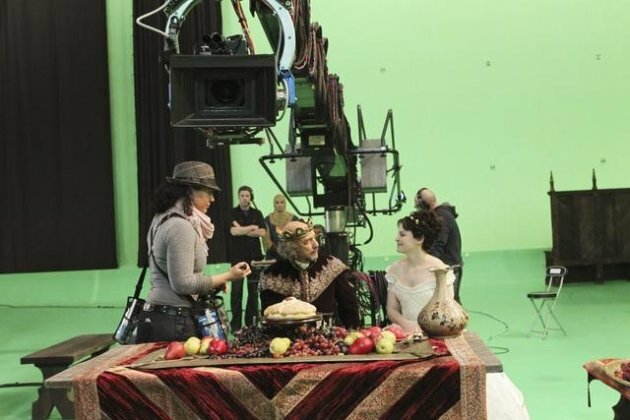 ABC has only released the behind the scenes for episode 11, Fruit of the Poisonous Tree. 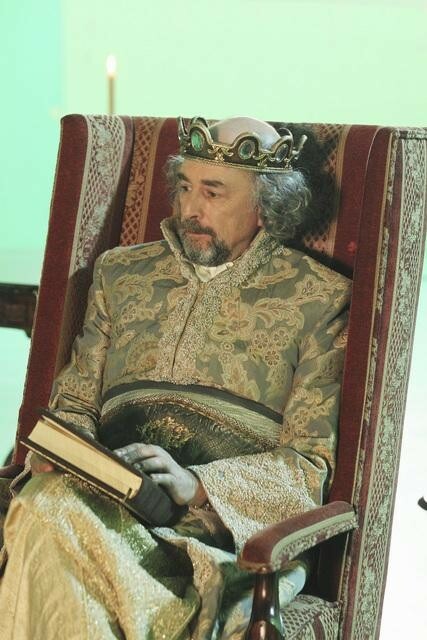 This episode is set to air January 29, 2012 at 8pm EST on ABC. We are still eagerly waiting for the official photos to come out. 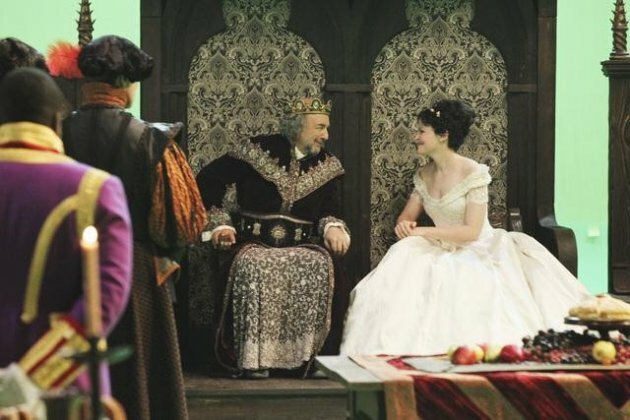 In this episode, we find out more into the relations of the Evil Queen and her husband King Leopold. It further goes into the relationship of King Leopold and his daughter Snow White. The Evil Queen is very jealous of the relationship her husband and stepdaughter have. 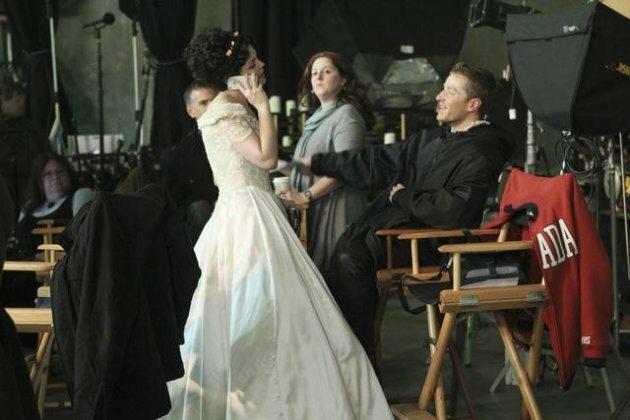 This episode will go further into why the Evil Queen hates Snow White. We are excited to see how the King Leopold reacts when he finds the magic lamp and granted his three wishes. The question is how much will they reference Aladdin? Is there going to be an Aladdin? Who is playing the Genie?